Clouds By: Gabrielle Miller. Dedication Page I dedicate this book to my mom for loving me and letting me in Her life for ever. 3 Clouds..Clouds look at the beautiful. Mom dont they look so beautiful. Just like you mom when you had I knew you would want me as your child because you are just as sweet as a cloud. 4 How Do Clouds Form? Why tell me something about clouds ok Ill tell you something I know that Clouds are made up of tiny water droplets or ice crystals. But one thing you should know it has all kinds of clouds like Stratus,Cumulus and cirrus clouds. 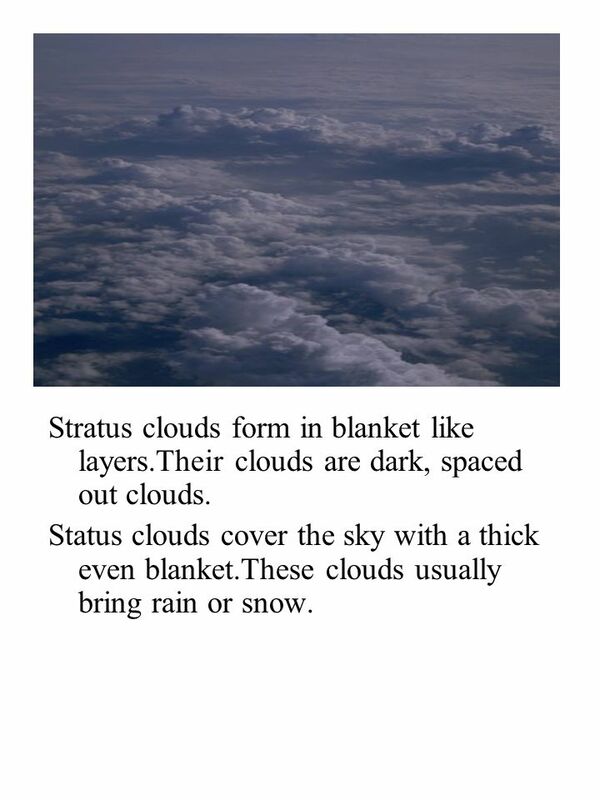 5 Stratus clouds form in blanket like layers.Their clouds are dark, spaced out clouds. Status clouds cover the sky with a thick even blanket.These clouds usually bring rain or snow. 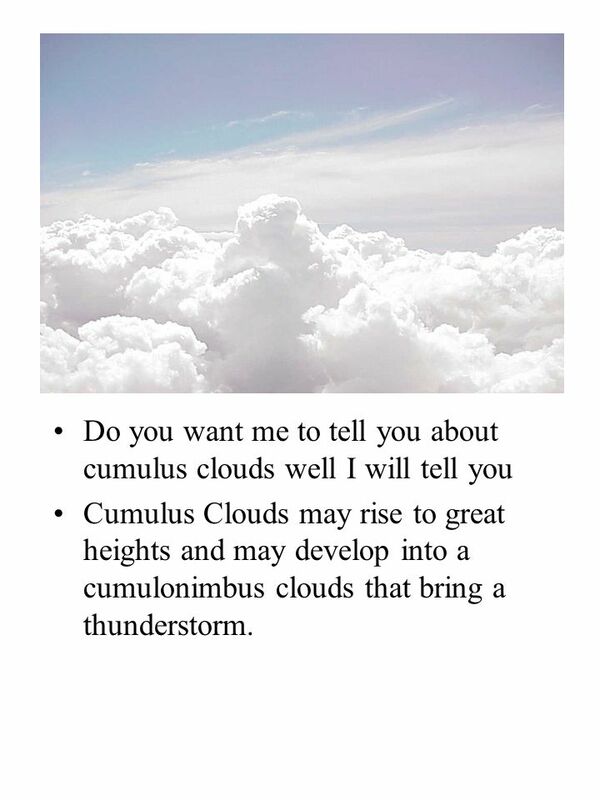 6 Do you want me to tell you about cumulus clouds well I will tell you Cumulus Clouds may rise to great heights and may develop into a cumulonimbus clouds that bring a thunderstorm. 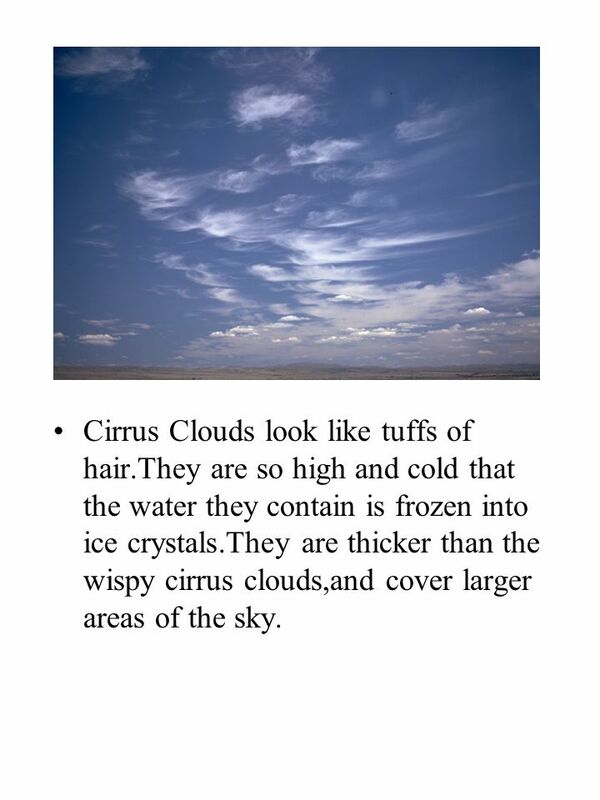 7 Cirrus Clouds look like tuffs of hair.They are so high and cold that the water they contain is frozen into ice crystals.They are thicker than the wispy cirrus clouds,and cover larger areas of the sky. 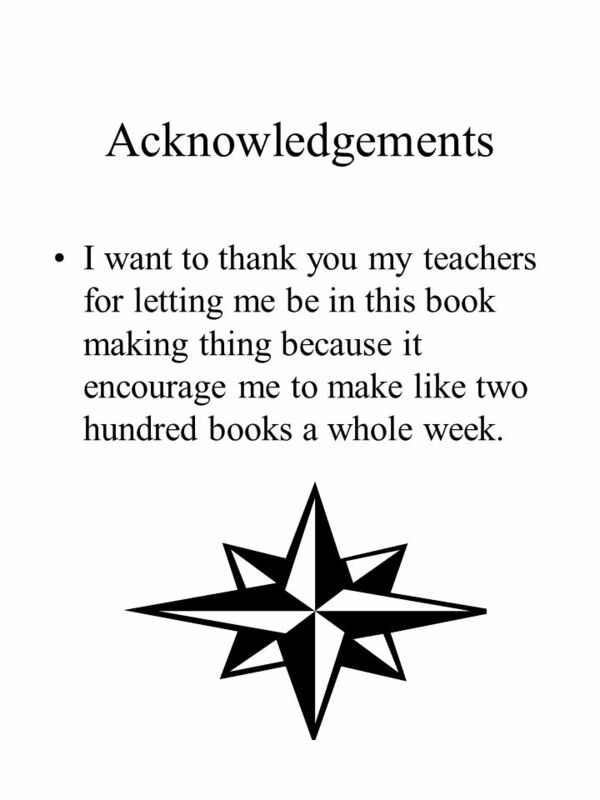 8 Acknowledgements I want to thank you my teachers for letting me be in this book making thing because it encourage me to make like two hundred books a whole week. 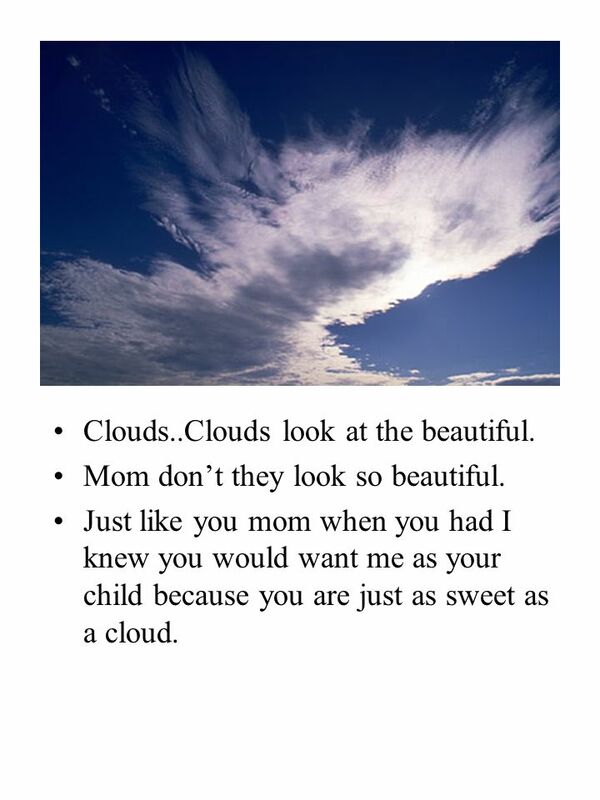 Download ppt "Clouds By: Gabrielle Miller. Dedication Page I dedicate this book to my mom for loving me and letting me in Her life for ever." Weather Part 3 The Clouds. Cloud Notes. Cirrus High elevations High elevations Feathery/ wispy with ice crystals Feathery/ wispy with ice crystals Fair weather Fair weather. Warm air is forced upwards Meets up with cold air Then both cool and condense around dust particles. 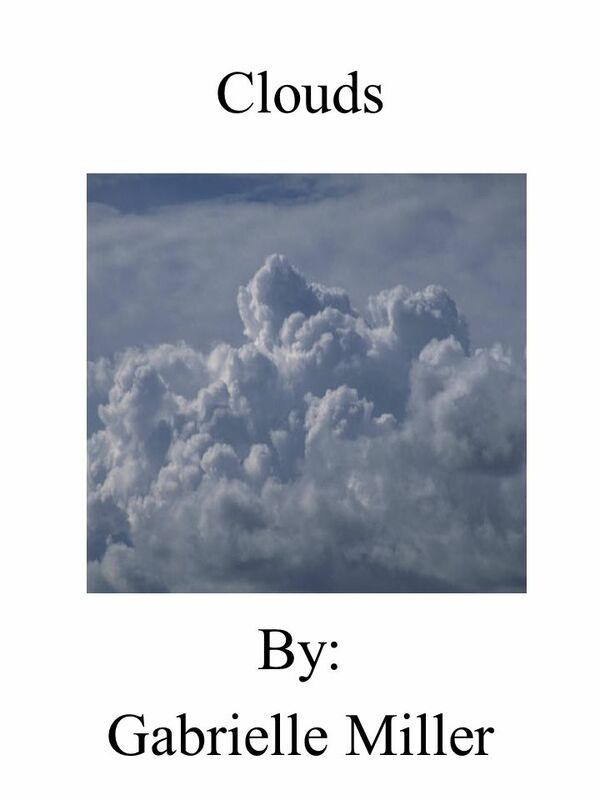 Clouds By Mrs. Hicks. Types of Clouds There are 3 types of clouds: Stratus Cumulus Cirrus. An Instructional Module By Heather Tonsberg Start. Clouds Clouds are classified by their shapes, elevation, and their associated weather conditions and patterns. Clouds that form from the condensation of. Up in the clouds …. How are clouds formed? Warm moist air rises because it is less dense. As it rises it cools and becomes more dense so it can’t hold. 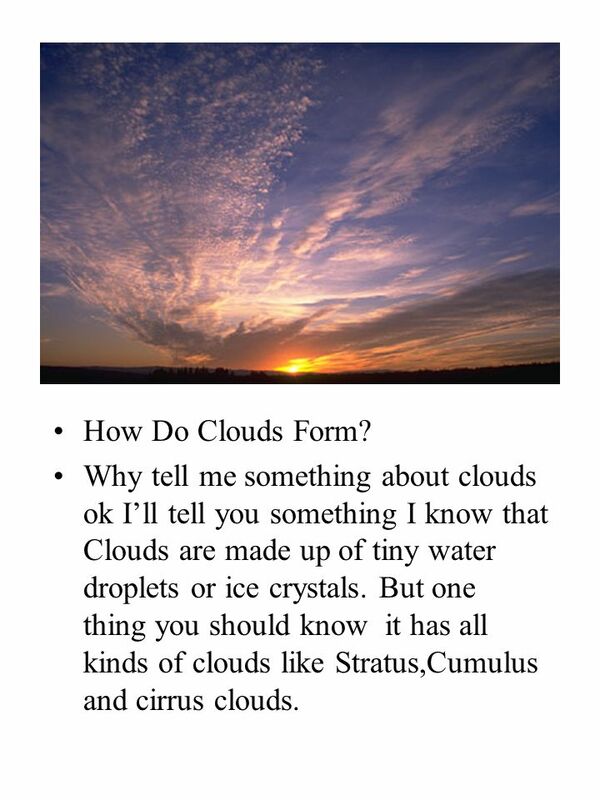 By: Kristi Torres 4th Grade Science Click to Continue. Types of Clouds Learning Objective: Describe condensation and contrast different clouds by height and description. CLOUDS Every time when you look at the sky you see clouds. Sometimes dark, sometimes big or small. We know few types of clouds. Julianna Hagood. Standard 3 Students will develop an understanding of their environment. Objective 2 Observe and describe weather. Observe and describe.  Clouds are collections of tiny ice crystals or water droplets.  All air contains water vapor. When the air cools water vapor condenses.  This condensed. Air and Weather p. D Ingredients of Weather Air Air Wind Wind Moisture Moisture. The Water Cycle and Weather Mr. Leslie’s Science Class. Revised and edited by Tracy Sikes, Mount Bethel Elementary. Bell Ringer What type of weather will we have today. All About Clouds. Clouds For a cloud to form, there must be water vapor in the air. humidity- the measure of the amount of water vapor in the air. relative.